While we are surely living in a lightening fast, hit-it-and-quit-it web clip world, the music and films that really stick with us find their adhesive in themes. They are conceptual and meticulously thought out. More than just a random collection of bangers and hits, they tell us a story. Even surf films flourish in this way. Year Zero had its post-apocalypse, Loose Change had its if-I-wasn't-a-surfer, and The Endless Summer had its, well, endless summer. Music is no exception, even if you're hearing the story rather than seeing it. For instance, revisit: The Beatles' Sgt. Pepper's, Pink Floyd's Dark Side, Arcade Fire's The Suburbs. More than the lyrics, these albums found greatness through composition and theme. 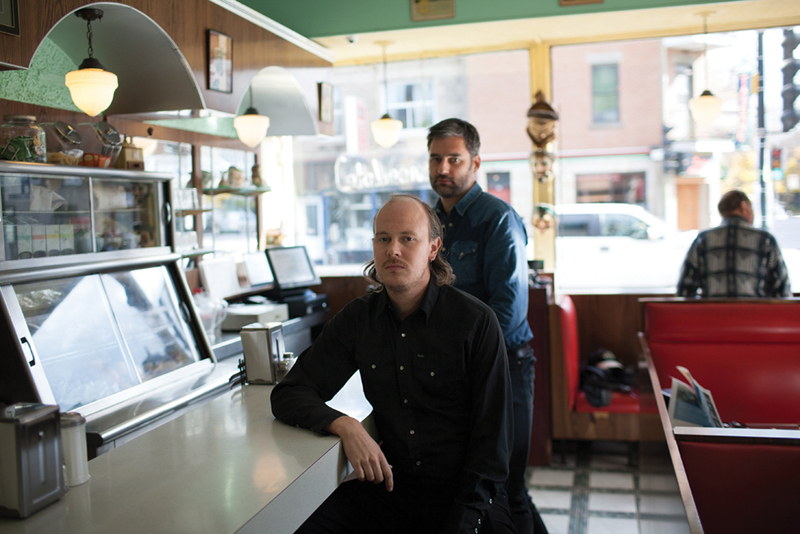 One modern band with a similar mindset is Timber Timbre. Timber Timbre's Creep On Creepin' On has a distinct sound, look and feeling — like all works that truly stick. A little indie, a little doo-wop, a little bluesy, and a lotta creep, leading man Taylor Kirk croons his 10-song tale over dark and bewitching motifs. But as occult-ish and Halloween-y a picture as Creep On paints, the pleasant piano, saxophone, violins and Kirk's charming voice act as friendly night-lights in his haunted house. A haunted house you might actually find yourself wanting to stick around and stay the night in.